We’re about a month from the opening, so we’re working hard to get everything ready for the show. 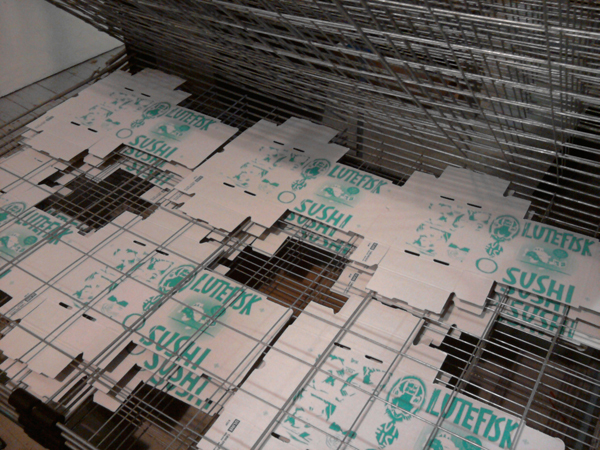 Last weekend, our friend Lonny screen printed the boxes with Zander’s design. I got to hang around for a little while and take a few pictures. 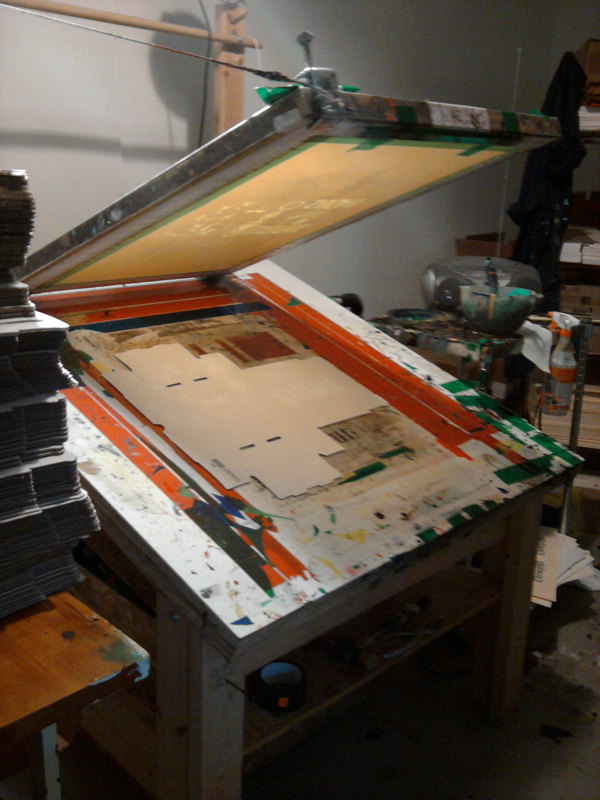 My knowledge of screen printing is very limited, but I’ll do my best to describe what you’re looking at. 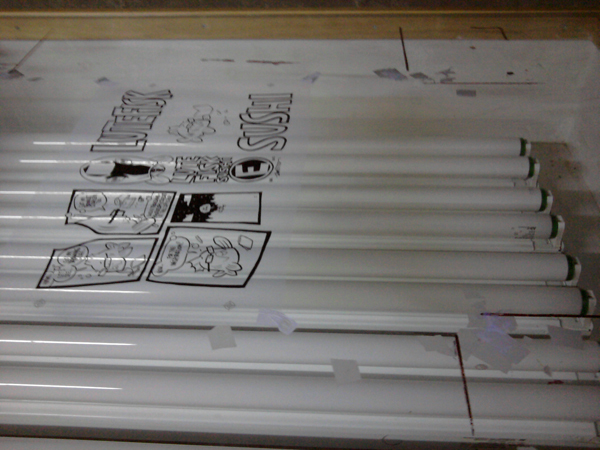 This first picture is the light table used to expose the screens. To prepare a screen for printing, you coat it with photo emulsion, place a transparency with the artwork onto the screen, and expose it to light. You can see one of the transparencies for the sushi boxes still on the table. 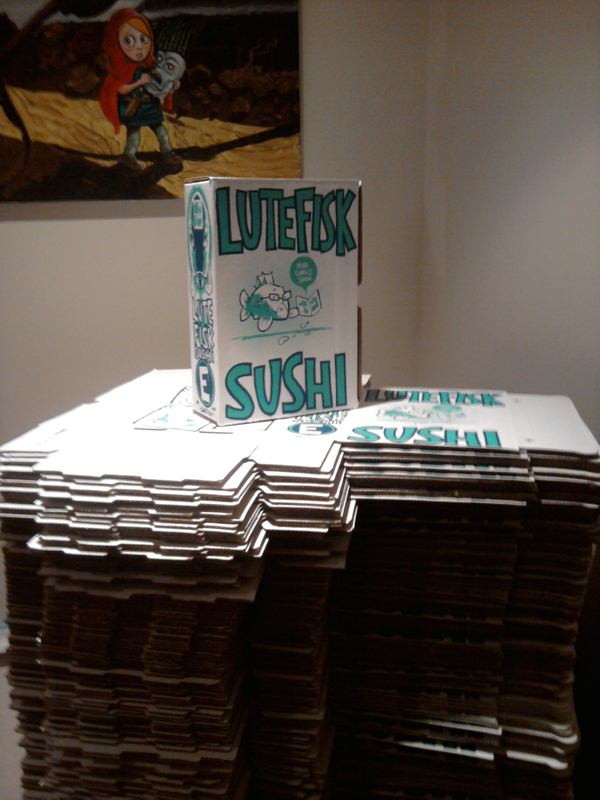 Two colors were used on the sushi boxes: light turquoise and dark blue. 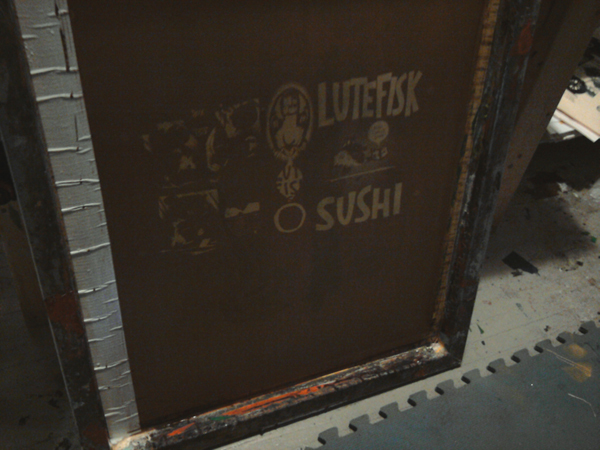 This is a picture of the screen used for the turquoise ink. Here’s a blank box sitting on the table, waiting to be printed, with the screen hovering above it. The screen is attached to the table and counterweighted so it can be raised and lowered. Dozens of boxes on the drying racks. As you can see, the boxes in this picture have only 1 color so far. The turquoise went on first. After they dried, Lonny went back and printed them all again with the second color, dark blue. And finally, here’s a big stack of the finished boxes, with both colors. Soon they will be stuffed full of comics.